According to the World Economic Forum, “one of the greatest individual challenges posed by new information technologies is privacy”. We all understand why the “Protection of Personal Information” is so essential, as the tracking and sharing of personal information is a cornerstone of this connectivity era. It is crucial that we are all cognizant of these fundamental issues and are taking responsible measures to protect and control our data. This has never been more relevant in South Africa, as it has become a top priority for all CIO’s to ensure that their organizations are compliant with the POPI act, driving companies to re-examine the way they do business. Unfortunately, many companies are still perceiving the POPI act as something negative, which will require large investments and require changes within their organizations. However, one needs to remember that with change comes accountability, continued learning and personal growth whereby employees are encouraged to innovate, adopting a “Can Do” culture. The POPI requirements can essentially lead to savings on your bottom line with less storage and archiving costs, optimised business processes, overall efficiency and reliability of the organization’s database. Noscotek, a provider of IT solutions, has some of the most skilled experts in software solutions when it comes to taking control of your information & organizational processes, with the world’s leading ECM software – Laserfiche Enterprise Content Management. Noscotek believes that the POPI legislation should be embraced and implemented in the spirit it was intended. Sheldon Halgreen, Technology Director at Noscotek said “implementing POPI creates an opportunity to simplify, review and streamline your business operations, policies and processes through Laserfiche Enterprise Content Management”. “Another Laserfiche product feature that has proven to be most useful in helping our customers with their end-to-end POPI implementation has been Laserfiche’s Security Records Management”, said Halgreen. Auditing user actions across all devices through a tracking system to form a complete record of organization-wide activity. The Laserfiche Administration Console provides total system control. Contact Noscotek today for a free consultation to see how Laserfiche & it’s suite of products can help you to understand, define and implement your POPI Compliance requirements. Laserfiche Enterprise Content Management transforms how organizations manage information, automate document-driven business processes and make timely, informed decisions. 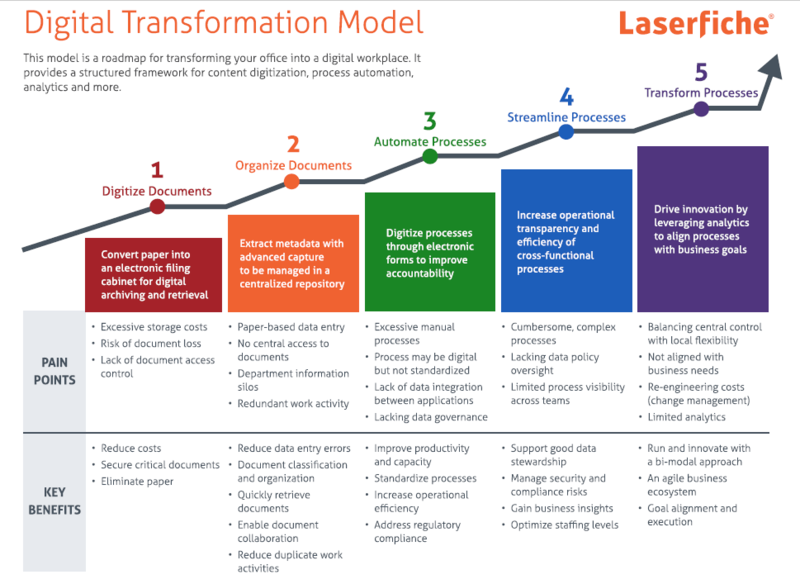 Using Laserfiche, organizations can innovate how documents and unstructured information are processed and analyzed to achieve business results. Laserfiche provides intuitive solutions for capture, electronic forms, workflow, case management, cloud, mobile and government-certified records management. Since 1987, Laserfiche has been the trusted choice of more than 36,000 organizations worldwide. We provide everyday, practical solutions for your document management needs. We are experts when it comes to Document Management and improving your business processes. Give us a call to see how we can help you.